observing the flow. You hear the birds, insects (the gnats are really annoying there! ), some squeaks of wood, wind, purl and drops of water, some indistinct bustle. There is no audible music music here, however, the environment itself is a very nice music generator – it is a vivid and unpredictable system with irregular events and circumstances. 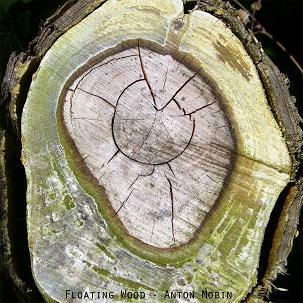 So, join the “Floating Wood” excursion with Anton Mobin. Field recording is a great thing you know. People, who devote themselves to this kind of music art, give us an opportunity of experiencing different environments and places, enriching our consciousness with new memories, feelings and impressions. 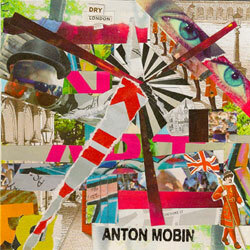 Anton Mobin is one of such artists. Today I’d like to say some words about his release on Wandering Ear label, called “London – A Field Memory”. Anton Mobin made these field recordings in London in 2009, after that, in spring of 2010, he mixed them, creating a wonderful whirl of surroundings. Frist track “Warmly Quiet” – is made of recordings of sounds inside of a hotel, where he combined different vibrations of ventilation, the humming of the underground resounding in the bathroom, different movements. After that comes the second track – “Music And Tradition”, displaying, that London is overfilled with music, you can hear various orchestras, musicians and what not. The third and the last track – “Ferry Tale” – consists of conversations, noise of a ferry, a crowd in the Apple market. I must note, that the image on the cover picture reflects the collage nature of the whole album. Listening to it, I unintentionally remember The Beatles’ “Revolution №9”, with its ragout of sounds. It’s a real trip through London, it is unlike those dull guide films with traditional ringing of Big Ben. Unfortunately, I have never been to London, but thanks to Anton Mobin, I made this travel, though it is of only sonic hypostasis.